The American Writers Museum Reading Circle is a new members-only program that allows fans to get up close and personal with their favorite writers. Members will have the chance to deeply read their favorite works with the guidance of an expert, explore their influence on the American voice, and discuss their thoughts with peers in an intimate setting. The first four sessions will focus on poetry, and will be led by professor and award-winning poet Reginald Gibbons, who wrote the following blog to introduce the Reading Circle. If you would like to join these sessions (the first will be on January 22, 2019), please RSVP here. If you are not a member, you may purchase a membership here or in the Museum. See you soon! This American Writers Museum Reading Circle is an encounter with eight great American poets who are honored in the gallery A Nation of Writers. 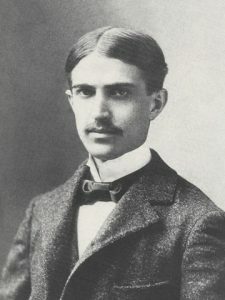 In our four sessions we’ll read and discuss a few poems each by Emily Dickinson and Stephen Crane, then William Carlos Williams and Sterling A. Brown, then Robert Frost and Elizabeth Bishop , and finally Gwendolyn Brooks and James Welch. Reading poems, we’ll enjoy and discuss the richness of meaning, the perceptiveness, and the artistic beauty of poems by these poets. We’ll be reading them for the pleasure their work gives us and also for the insight the poems provide into American life and American history. 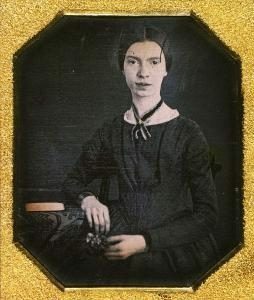 In January, we’ll look at the dazzling and unique poetic innovations, both psychological and artistic, in Emily Dickinson’s brilliantly metaphorical poems and Stephen Crane’s marvelous honesty and dark wit. In February, we’ll look at the powerful way in which William Carlos Williams and Sterling A. Brown made great poetry out of the everyday lives of ordinary people, and changed the way American poets use our language. In March, we’ll experience the dramatic intensity and frankness of Robert Frost’s portrayal of rural life, and Elizabeth Bishop’s wry, often gentle yet profoundly moving way of writing about life and landscapes, happiness and loss. Finally, in April, we’ll read poems by Gwendolyn Brooks and James Welch, each of whom did something that all great poets must do to achieve something new, which is to bring into poetry what was not there, before. In fact, all of the poets we’ll be reading accomplished this, but Brooks, our iconic poet of Chicago, with her courage and artistic virtuosity, brought African American lives into American poetry with such bravura and fullness that she changed American poetry. Her legacy among present-day poets is enormous. James Welch, a Native American poet and novelist, brilliantly brought into contemporary American poetry many aspects of Native American life and thought, rooted in his native Montana. You might wish to read some of the work of these poets beforehand, on your own, but it’s not required. We will provide handouts of the poems in our sessions. About Reginald Gibbons: Reginald Gibbons (Ph.D. Stanford University, Comparative Literature), Frances Hooper Professor of Arts and Humanities at Northwestern University, has published poetry, fiction, translations, and literary criticism. His poetry publications include ten full-length collections, among them Last Lake, Sparrow: New and Selected Poems (LSU 1997), Homage to Longshot O’Leary (Holy Cow! Press 1999), and It’s Time (LSU 2002). He has published a collection of short fiction, Five Pears or Peaches (Broken Moon Press 1991) and a novel, Sweetbitter (Broken Moon Press 1995). This entry was posted in Blog, Events, Poetry and tagged American Writers Museum, AWM Events, Elizabeth Bishop, Emily Dickinson, Gwendolyn Brooks, James Welch, Membership, Poetry, Reading Circle, Reginald Gibbons, Robert Frost, Stephen Crane, Sterling Brown, William Carlos Williams.